Running Time: 1 hour 58 minutes. 2-Video Series for crews and singlehanders. Includes both Cruising Tips with Capt. Jack Klang and Singlehanded Docking & Sail Trim. From sail trim to docking, Capt. Jack combines classroom models and real world situations to help you become a better sailor. Capt. Jack Klang is a US Coast Guard certified skipper and long-time consultant to Quantum Sails. Capt. RECOMMENDED: 2-Video Set Rent or Download-to-Own through Vimeo. Click below for 2-DVD Set or individual video downloads through TheSailingChannel Store. 2-Video Series for crews and singlehanders. 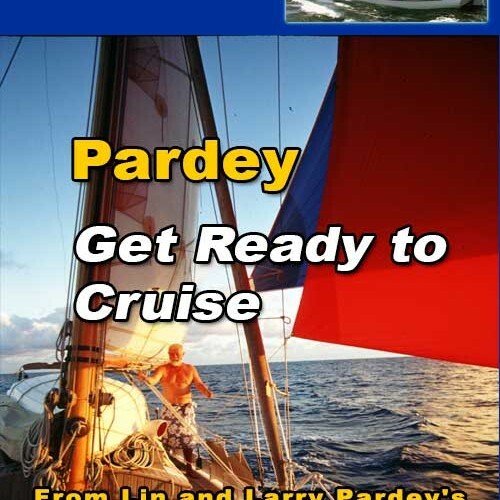 Includes both Cruising Tips with Capt. Jack Klang and Singlehanded Docking & Sail Trim. From sail trim to docking, Capt. Jack combines classroom models and real world situations to help you become a better sailor. Capt. Jack Klang is a US Coast Guard certified skipper and long-time consultant to Quantum Sails. Capt. Jack presents presents sailing instructions in easy-to-learn segments. Use his tips as a video reference for yourself and your crew. He has a way of showing how things work so everyone can understand. This is a must series for those who want to learn sailing basics or review their sailing skills. Topics include sail handling, sail trim, docking with crew and singlehanded, man overboard drills, VHF Radio operations, sailor’s knots, aids to navigation, anchoring, and much, much more. Hells Bells is Capt. Jack’s 1966 Sparkman & Stevens designed 30 ft Chris Craft sloop, Homeport: Suttons Bay, MI.